Jesus, the lamb of God who bears the sins of the world, turns out to be the only scapegoat capable of permanently bearing sin. It’s just not possible for human beings to forgive–to bear sin–permanently. And that’s why it is necessary—absolutely necessary, no alternative—for humans to forgive with the forgiveness of Christ, not human forgiveness. Christ recognizes this in John 20:22 after he is resurrected from the dead, and that’s why he breathes his Holy Spirit on the disciples for the accomplishment of this task. They are to minister his forgiveness to others, not their own. Their conflicts have become his conflicts. That’s why he says, “Saul, Saul, why do you persecute me?” in Acts 9:4, when Saul is persecuting Christians. And in turn, the disciples’ forgiveness becomes Christ’s forgiveness, and his becomes theirs. “We are therefore Christ’s ambassadors, as though God were making his appeal through us”—that’s what Saul says after he receives Christ’s forgiveness and becomes Paul. 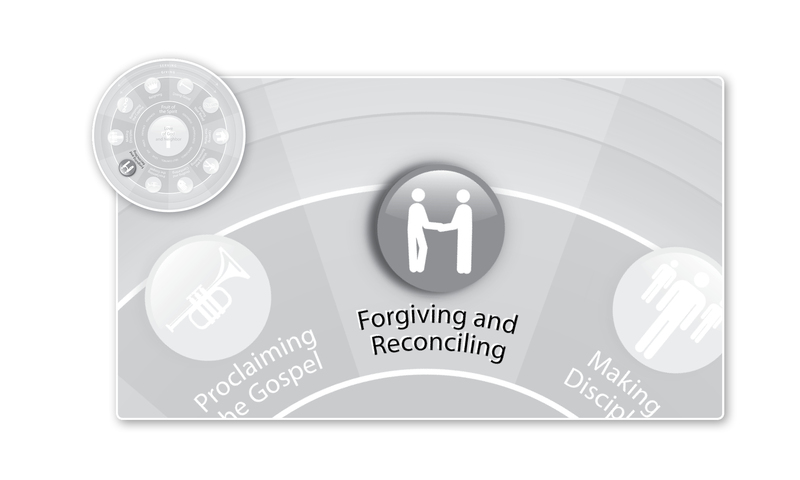 “We implore you on Christ’s behalf: Be reconciled to God” (2 Corinthians 5:20). “Imitate me as I imitate Christ,” he says in 1 Corinthians 11:1. Look at me and catch a glimpse of him, says Paul. He forgives with the same forgiveness with which I am forgiving you. But if we fail to forgive, the opposite message is conveyed: As I do not forgive you, neither does he. And that is wickedness on the part of the servant—character assassination of the master, our king Jesus. This entry was posted in Uncategorized and tagged Christianity, Discipleship, Forgiveness, Forgiving and Reconciling, Jesus, Whole Life Offering. Bookmark the permalink.